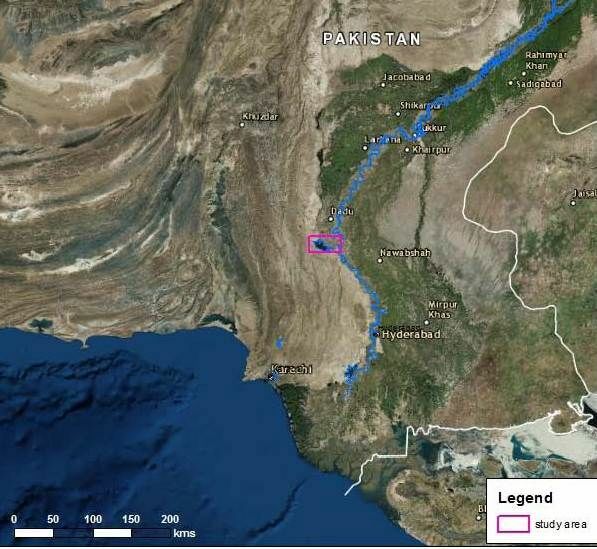 Cretaceous Mughalkot Formation of the Lower Indus Basin, Pakistan. 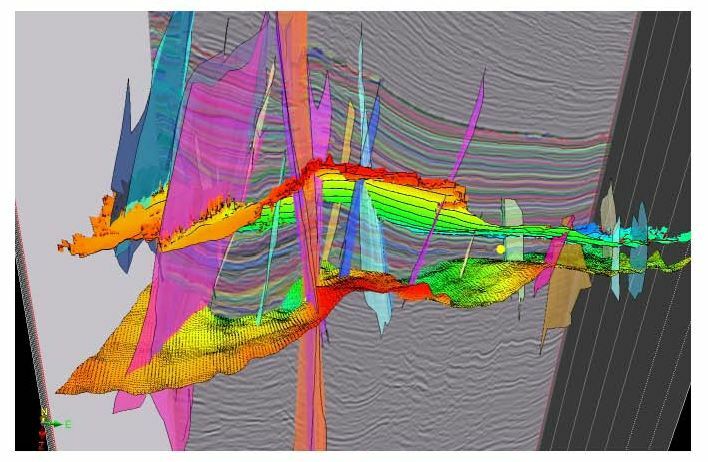 stratigraphic analysis was carried out using IHS Kingdom™ and PaleoScan™ software. lowstand wedge, early highstand and late highstand. were derived and used to generate gross depositional environment (GDE) maps. Example above of Paleoscan™ model showing faults and two horizon constraints. 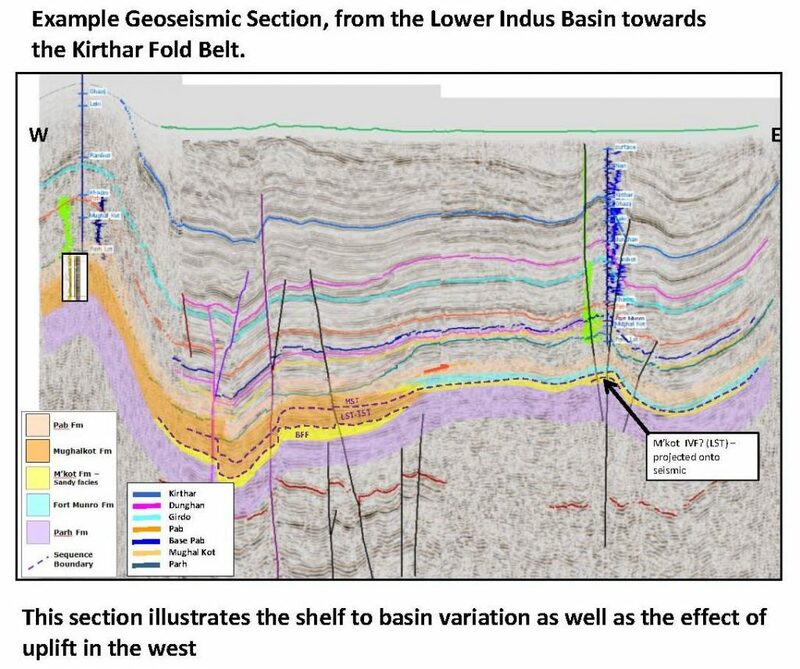 This shows the structural complexity of this Himalayan foldbelt, which obscures the stratigraphy. The project was successfully completed and drill ready prospects were presented to the client. Petrostrat Ltd & APT Ltd.